Who are the People on the New Zealand Banknotes? The people on the New Zealand BankNotes explained! Who is this guy on my money?! Knowing who is on the New Zealand bank notes is knowing some influential figures in New Zealand’s history – emphasis on ‘history’ because most of these figures are now dead. Plus, these indestructible notes are going to be your best friend whilst on a working holiday or backpacking in New Zealand, so it’s time to start getting to know them. So if you are a curious traveller who is keen to find out who are the people on the New Zealand banknotes then you have come to the right place. Find out who exactly are these people on the New Zealand banknotes, along with the birds on the back of the NZ banknotes. And if you you totally enjoy fun facts like this, then you might like: 10 Things You Did Not Know About New Zealand. Who are these faces littering my bank notes? Sir Edmund Percival Hillary (1919-2008) is a New Zealand legend who was one of the first to reach the summit of Mt Everest! On 29-May-1953 Hillary and Tenzing Norgay were part of the ninth British expedition to tackle the highest mountain in the world. Of course, New Zealand is the perfect place to hone mountaineering skills. Hillary’s first major climb was Mt Ollivier in Canterbury. Other achievements were his expeditions to the North and South Pole. A great place to learn more about Sir Edmund Hillary is at the Sir Edmund Hillary Alpine Centre in Aoraki Mt Cook National Park. You’ll also be able to find exhibitions on the subject in the Te Papa Museum in Wellington. New Zealand was the first country in the world to give women the vote in parliamentary elections. The country’s most famous suffragette, Kate Sheppard (1847-1934), was fundamental in this achievement. She was a leader raising awareness of the suffragette movement by giving talks, contacting politicians, writing to the press, and producing her own publication The Prohibitionist. The campaign gradually snowballed with her last petition gaining 32,000 signatures to support women’s suffrage. On 19-September-1893 women were given the right to vote in New Zealand. Yay! In fact, New Zealand is forward-thinking country in terms of gender equality, as demonstrated also by being the first country to have three women in high rankings of power simultaneously. Helen Clark (Prime Minister), Dame Siliva Cartwright (Governor General), and Sian Elias (Chief Justice) were all in power at the same time. You can learn more about New Zealand politics in the Parliament Buildings in Wellington where they run free tours. New Zealand is part of the Commonwealth to which The Queen is sovereign. She is a constitutional monarch, so although she plays no part in the passing of legislation within the New Zealand Government, she plays a formal or symbolic role of approving legislation. Queen Elizabeth acknowledges New Zealand events and commemorates the service of New Zealanders in the armed forces. She has visited New Zealand 10 times, meeting New Zealanders from all over the country from different cultures. Furthermore, New Zealand has a public holiday dedicated to the Queen’s Birthday. Although not much Queen-related celebrations occur, it is seen more as a good excuse for a day off. 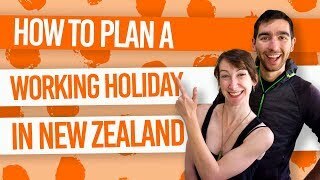 Find out more about the public holidays in New Zealand in Public Holidays in New Zealand. A New Zealand politician, Sir Apirana Ngata (1874-1950) was influential in improving the social and economical conditions for the Maori people. He was the Minister of Maori Affairs. Ngata pushed for the growth of equal education for Maori, have them participate in European sports, and to help undeveloped Maori lands into production. Ngata was the first Maori to get an New Zealand university degree. New Zealand is rich in Maori culture, which is well worth experiencing for yourself by checking out cultural performances and visiting maraes. Find out more in 10 Places to Experience Maori Culture in New Zealand. For more about New Zealand’s history, see The Maori History in New Zealand. and under his direction as Director of the Cavendish Laboratory at the University of Cambridge, the first experiment to split the nucleus in a fully controlled manner was performed. What are the Birds on the back of the New Zealand Banknotes? Want to know some more fun facts? Get your head around New Zealand in Numbers!